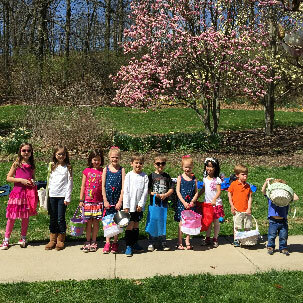 Neighbors are hosting multiple crafts and activities for children of all ages. Please RSVP number of children and ages to hcimtadams@gmail.com. Location: Hill Street Garden: the site of MAYC’s cleat. Reverend Croskery delivered a wonderful blessing! Check their facebook page for more MAYC Events! Free music and movie series hosted by the Mt Adams Civic Association. 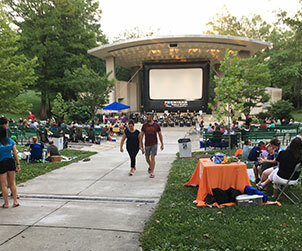 Live music starts at 7:00 pm, the selected movie starts at dusk. In addition to popcorn and drinks from the MACA Concessions, food will be available for purchase. Thursday, June 6 – Music: Real Live Humans ; movie: Mamma Mia sing-a-long! And the Graeter’s truck will be on-site! And the Graeter’s truck will be on-site! 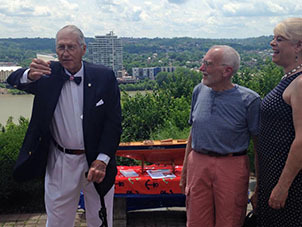 Summer event hosted by the Mt Adams Beautification Association. 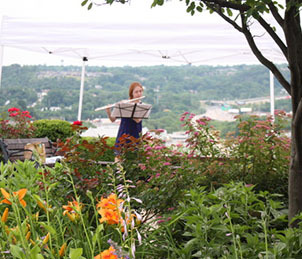 Tickets are sold for a tour of local gardens in the Mt Adams neighborhood. Light drinks and bites are served; musicians entertain. What She Said will entertain on Friday night, and Haymarket Riot returns to entertain on Saturday night; and everyone can indulge in the Taste of HCI International Food Festival the entire weekend! American, German, Italian, Mexican, Greek and Asian are all in the works! Expect the usual fun from carnival games, an indoor casino, and the unique silent auction. Mt Adams Civic Association hosts this party, serving tasty donations from most of the local restaurants, with music provided by the Business Guild. 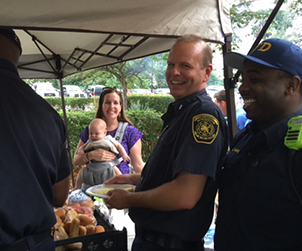 Our designated police and fire personnel always visit, taking the opportunity to meet Mt Adams residents. 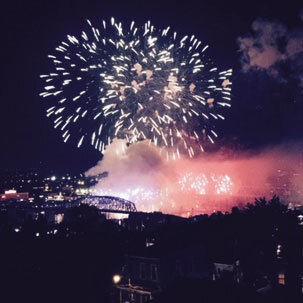 On both sides of the river, nearly a half-million people view the choreographed Rozzi’s Fireworks show while listening to the soundtrack on WEBN (102.7 FM) starting just after 9pm and lasting for about 30 minutes. In Mt Adams, locals host deck parties, Holy Cross Immaculata hosts a potluck dinner, and visitors set up camp at one of the many vistas on the Hill. This recurring art event is an opportunity to celebrate the history of Mount Adams and its’ artists. Enjoy a day of viewing art of all kinds at Upper Eden; art in the courtyard as well as in the store gallery. Featured artists: Alex Cipa, Merida D’Augustine, Linda Loschiavo, Diana Martens, Margaret Mock, Peggy Murphy, and Suzanne York. Prost! Mt. Adams Pavilion transforms into a German biergarten for the annual Mt. Adams Oktoberfest celebration. 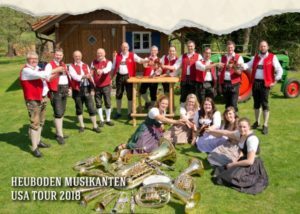 Enjoy performances from an authentic, touring, 16-piece German band, The Hayloft Musicians. The grills will be fired up with bratwursts, mettwursts, corndogs, and potato cakes! Don’t forget to ask about our sauerkraut. And of course, the beer will be flowing. Don’t forget your lederhosen! 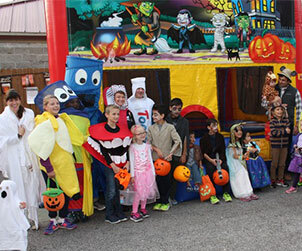 Trick-or-Treaters gather at the parking lot on Pavilion to compare costumes and candy collection strategies. Those that need to warm up for the impending hunt can take advantage of the 4EG bounce house. Parents reconvene afterward to let their T/Treaters burn off some sugar in the bounce house (provided by Mt Adams Pavilion) while enjoying refreshments provided by MACA. Put on your red beret, practice singing La Marseillaise, dress up your Poodle and your Doodle, ride your bike with a baguette under your arm, celebrate the FIFA World Cup Finals, join all your Francophile Friends and celebrate Beaujolais Nouveau. The party begins at 5:30 pm at the Mt. Adams Bar and Grill, parades down St. Gregory Street to the Monk’s Foutain, where, with great ceremony, the first bottle will be open and cheered. 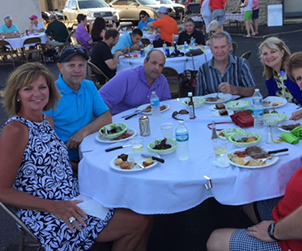 The fun continues at Quincy’s with wine, music and French inspired foods. Is Beaujolais Nouveau – A great party for a not-so-great wine? ; a reason to celebrate the harvest? ; a way to begin the holiday season a week before Thanksgiving? ; an excuse to start the weekend on a Thursday? Beaujolais Nouveau is the first wine of the harvest, made from the gamay grape. It is made by carbonic maceration – no lovely barrels for aging this wine! It is meant to be consumed in the first three months of its life. It is a very young wine, an easy going wine, inexpensive, fun, not a serious wine. And a reason to Celebrate! Local iconic French man Jean-Robert said, “You drink a few glasses, enjoy, then use the rest in your stew”. There is a fee to register. All proceeds go to SPCA Cincinnati! 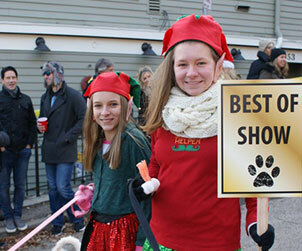 Parade viewing starts at 2:00 and lasts until the last Holiday Dog finishes the route! This unique parade, sponsored by The Mt. Adams Business Guild, has been a Mt. Adams tradition for over 20 years. 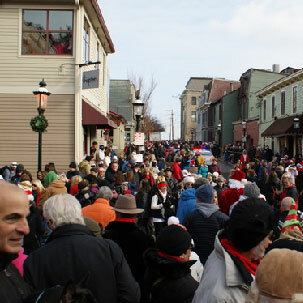 The procession through the streets of Mt. Adams will be led by Santa himself, flanked by our Grand Marshall. Every year we have a group of celebrity and sponsor judges that help us choose the best costumed dogs for prizes. Costume categories have historically been Small Dogs (under 25 lbs), Large Dogs (25 lbs and over), Dog/Owner Look-A-Like, and Multiple Dogs (2 or more dogs). Be creative – we’re looking for fun, unique, and festive costumes for each category! Food and vendors will be available before the parade, so come on down and join the party ahead of time! This scenic and challenging course begins at Jerome and St. Gregory and winds through Mt. Adams and Eden Park offering spectacular views of the city. Once again, Longworth’s will host. Rain (Snow) or Shine! A portion of the proceeds go to a local food pantry. Every December, Mt. Adams comes aglow with the soft light of thousands of luminaries for this Event organized by the Mt. Adams Beautification Association. Residential streets and the business district are lined with the temporary “lanterns” inviting neighbors to get out and enjoy the sights and sounds of the Holiday Season. The evening is elevated with caroling by local Choral Groups and Choirs. Local bars and restaurants offer holiday specials throughout the evening. 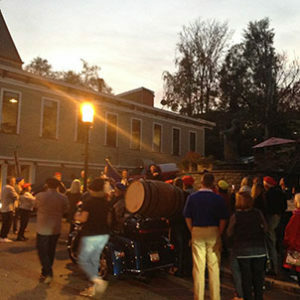 Santa will visit the Monk Fountain at 6:00, and tours will run from 6:30-8:30. 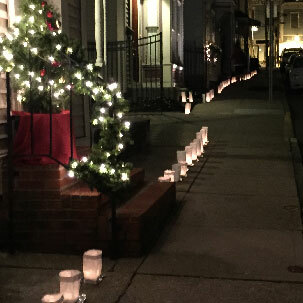 Luminary Kits are purchased through street captains, at Bow Tie Café or North Side Bank. Proceeds from the event will be used by the Beautification Association to purchase planting materials and other supplies needed to keep our business district and other neighborhood gardens looking their best. Cupid’s Undie Run is a “brief” (about a mile, at your own pace) fun run in your bedroom-best that takes place in the middle of a BIG party. That’s right: party, run (about a mile, at your own pace), party – all to find a cure for neurofibromatosis, a genetic disorder that affects every 1 in 3000 children born. Visit my.cupids.org for tickets. 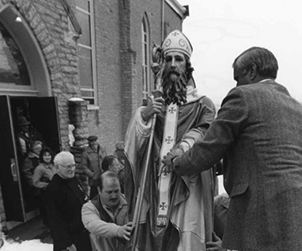 Every February, after a mass said to honor the deceased men and women Hibernians, a St. Patrick statue is slowly paraded around the Hill in a pickup truck, accompanied by pipes and drums. The Hibernians follow along. 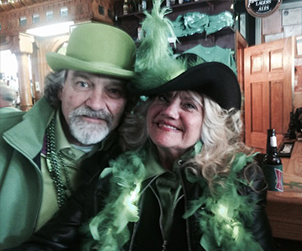 The Irish and near-Irish flock to Crowley’s, Cincinnati’s oldest Irish Pub, to celebrate the holiday. 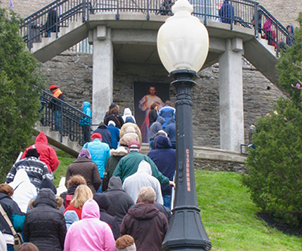 A major Hill-wide event held each Spring in anticipation of the thousands of visitors who observe Good Friday by “praying the steps” at Holy Cross Immaculata Church, and again each Fall in anticipation of the Reindog Parade and Luminaria. 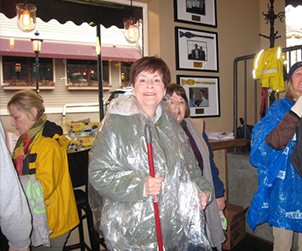 Volunteers meet at Bow Tie Café at 9:00 AM to fuel up and to pick a street/area to tidy. Afterward, a celebratory brunch is held at a local establishment, and prizes for unique trash finds are awarded by MABA.